Public Policy in the 'Asian Century': Concepts, Cases and Futures. In his address to the Australian Parliament in 2011, US President Barack Obama spoke of the “the vast potential of the Asia Pacific region” as part of a broader “pivot to Asia”. But with the prospect of an ‘Asian Century’ on the horizon, policy makers must grapple with this shift towards the East. The book is a culmination of policy research from the Melbourne School of Government which emerged from its 2013 Conference entitled ‘Public Policy in the Asian Century’. “Rapid economic development in many Asian countries brings opportunity, but also provokes challenges such as urbanisation and environmental degradation, and thus a set of public policy dilemmas,” Dr Poole said. The book is motivated in part by a concern that public policy scholarship has either historically ignored non-Western policy and administration or engaged it primarily as a means of suggesting how Western policy values, ideas or models might be applied in a non-Western context. 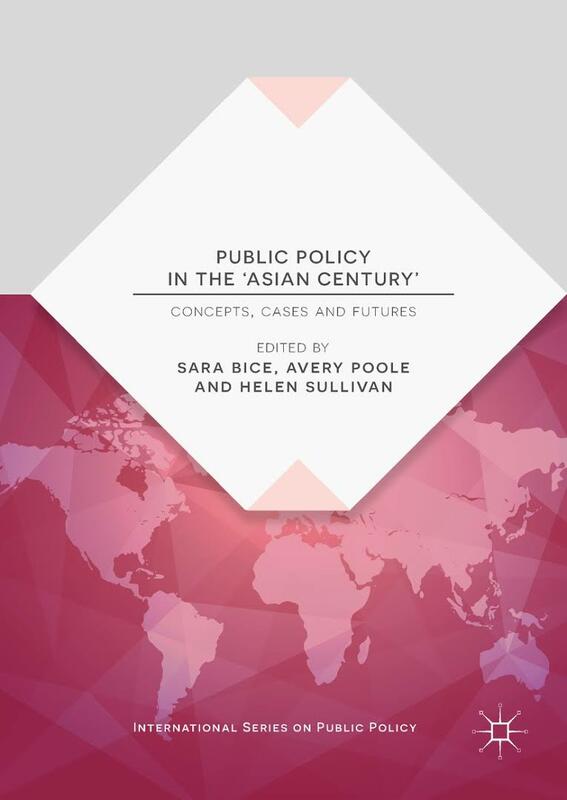 The book sets out to answer the question: what are the key features, approaches, challenges and opportunities for public policy in the so-called ‘Asian Century’? Broken down into three sections, the book brought together a large pool of scholars from all over the region, including Australia, China, Korea, Singapore, Thailand, Myanmar and Brunei. With this diverse group of scholars, the book explores unique challenges different Asian Pacific regions are facing. Some of the topics include the influence of Confucian thought on public administration in China; clan-oriented culture in the Thai civil service; and the challenges around the functioning of Myanmar’s first democratic legislature. In taking on a range of perspectives on public administration, the authors hope to address broader public policy questions, Dr Poole said. “The contributions will facilitate efforts to address globally relevant ‘wicked problems’, such as climate change, international market regulation, migration, food and energy security, and health epidemics,” she said. More broadly, the volume considers questions such as whether there really are distinctive ‘Western’ and ‘non-Western’ approaches to public administration and management. It encourages readers to challenge their unconscious biases and taken-for-granted concepts, in regard to how we think about public policy.